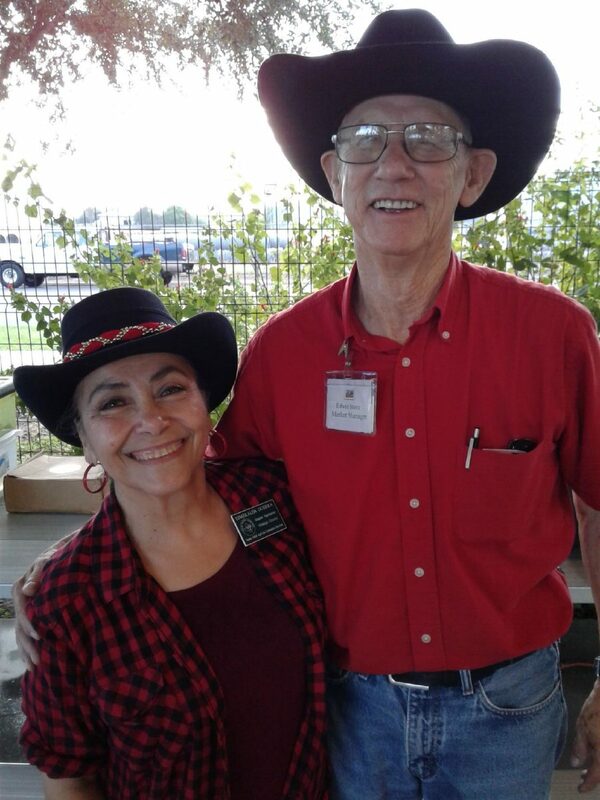 Edwin Storz, market manager, and Esmeralda Guerra, master gardener, are greeters at the Growing Growers Farmers Market. The Growing Growers Farmers Market in Firemen’s Park, at the corner of 1st Street and Business 83 in McAllen, is celebrating its 10th anniversary today. This market has a special history based on sharing knowledge and a commitment to community. Market Manager Edwin Storz and volunteers greet customers when they enter the market under a park pavilion. Vegetable planting schedules and basic gardening information are available as well as recipes. Master Gardeners answer questions about gardening and provide information about their upcoming workshops. In the kitchen, cooking classes are given regularly, partnering with the Texas Chef’s Association nutritionists or members of the market. “Customers are often trying some vegetables for the first time and they want to know how to prepare them and conserve nutritional benefits,” said Juanita Ramos, co-owner of Provenza Farm and Ranch and former nurse. The Growing Growers Farmers Market opened in February 2008 as an extension of an organic gardening and nutrition education class series. Weekly classes met over several months covering organic vegetable production, nutrition, food safety, food preparation, business management and marketing. The program’s purpose was to increase vegetable consumption by class participants and improve diets. Additionally, class members could also take classes on marketing and business management. For some, this was a way to provide a service to their communities and an opportunity to share their knowledge gained. Besides locally grown vegetables, fruits and herbs, the market has a wide range of farm products, like raw honey, jams and jellies, pickles, eggs, goat’s milk, and artisan cheese, 70 percent dark chocolate, grass-fed lamb and beef, as well as, seasonal Gulf caught shrimp, natural skin care products and a wide assortment of baked goods, including those for special dietary needs. And, throughout the market, vendors continue the tradition of providing recipes and samples along with their monthly cooking classes. For more information, contact Barbara Storz at (956) 330-6410 or via email at bstorz@rcommunications.com. Barbara Storz is a local horticulturist. You can listen to her gardening radio show at 7 a.m. Saturdays on 710 KURV Radio.